Um, Spiriteds, what’s gorgeous, delicious, sweet, and tart, all in the same recipe? 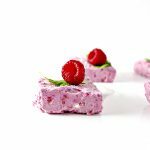 Raspberry Coconut Fudge, that’s what! I promise there is an actual recipe in today’s post. But I honestly obsess over the COLOR of this fudge. Like, where am I even? Some English cottage, dining on a pinky-purple dessert of delights, and daintily sipping my tea from a delicate cup? Well, maybe not so dainty or so delicate, but you get the idea. I’ve had an apparent sweet tooth lately and decided Creamy Paleo Fudge needed a sibling. 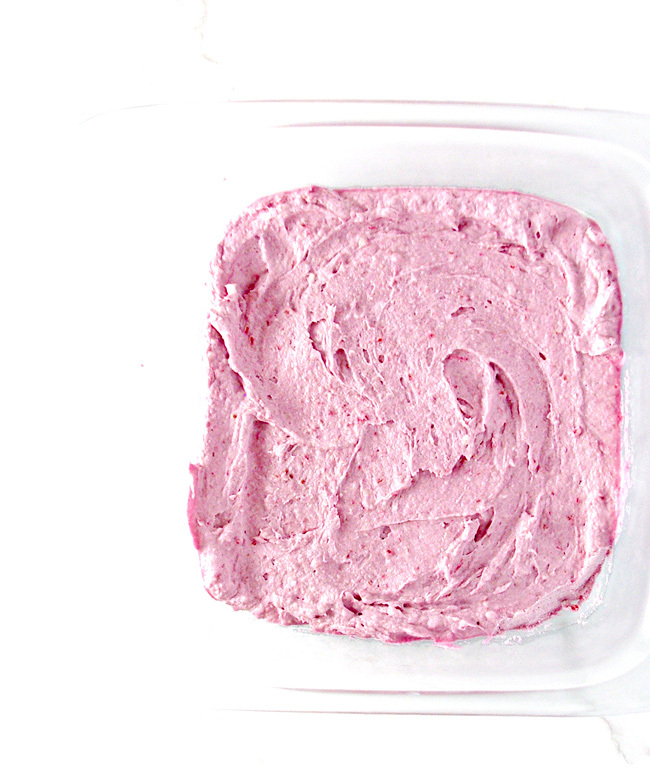 Raspberry Coconut Fudge is that sibling, and we are in heaven. Unlike the chocolatey flavor of the aforementioned flagship fudge, Raspberry Coconut Fudge boasts a rich, tart, coconut-y flavor. 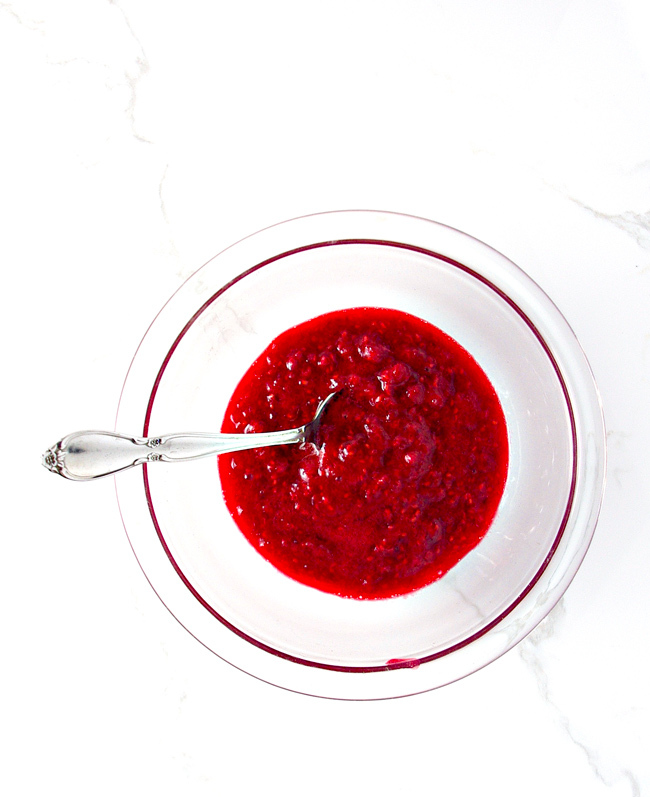 And I will say, it pays to like coconut and to use fresh raspberries if one is to best enjoy this recipe, English cottage or no English cottage. Coconut seems to be one of those flavors that people either love or immensely dislike. I have a relative who absolutely cannot stand the flavor, and I suspect this would not be his fudge of choice. I, however, have grown to like coconut, more so now than I ever did growing up. Toodle? #Same. She and I share palates for the most part, whereas K-Hubs and Twinkle pretty much savor everything right off the bat. 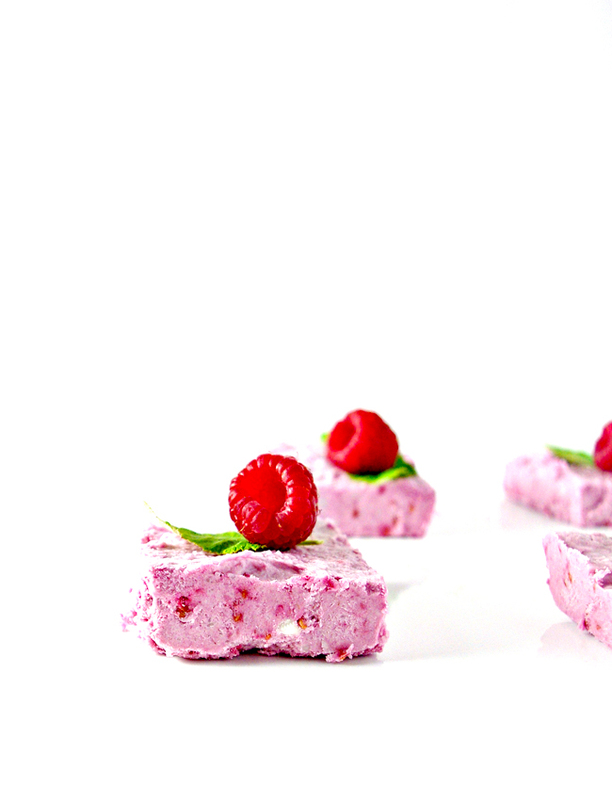 In fact, they can’t get enough of Raspberry Coconut Fudge. Sweet Twinkle kept asking for more as I took these pictures. Bless her precious little heart. And now she nibbles on some each day as a midmorning or afternoon snack. That was another reason for this recipe. Healthy, filling, gluten-free, dairy-free snacks! We are in the middle of summer, and I’m convinced the girls are in the middle of a growth spurt. I also swear I could make a full-time job out of just providing them with snacks. I love that coconut contains healthy fats to keep them full in between meals or while they are at activities. Because and for real, I can only do so many squeezy applesauce pouches and “I’m-still-hungry/s” before I want to hide away until dinnertime. And the thing is, I don’t want to hide. I want to enjoy these moments with the girls, and I want them to feel comfortably full for more than five minutes (they seem to have inherited their dad’s metabolism). The days may be long but the years are so short! However, during these long days and short years, I don’t want to be a short-order cook. Shoutouts, btw, to short-order cooks. A thankless job if ever there was one. The closest I ever got to being a short-order cook was a stint as a busgirl in a grocery store cafe. But, hey, now I know how to remove spoon streaks from coffee mugs. Per usual, I digress. Because now Raspberry Coconut Fudge keeps the girls full, me sane, and everyone a little bit happier than before. Satiated bellies will do that to a family. To make this delightfulness, you’ll need coconut oil AND coconut butter. They aren’t the same, and we aren’t skimping on the coconut flavor (read more from The Kitchn in this article, What’s the Difference Between Coconut Oil & Coconut Butter?). These two ingredients balance each other out in this paleo no-bake fudge recipe. But nibbler beware, coconut butter is going to give this fudge an all-out coconut-y flavor. I’ve said it before and I’ll say it again. This is a recipe for coconut lovers. 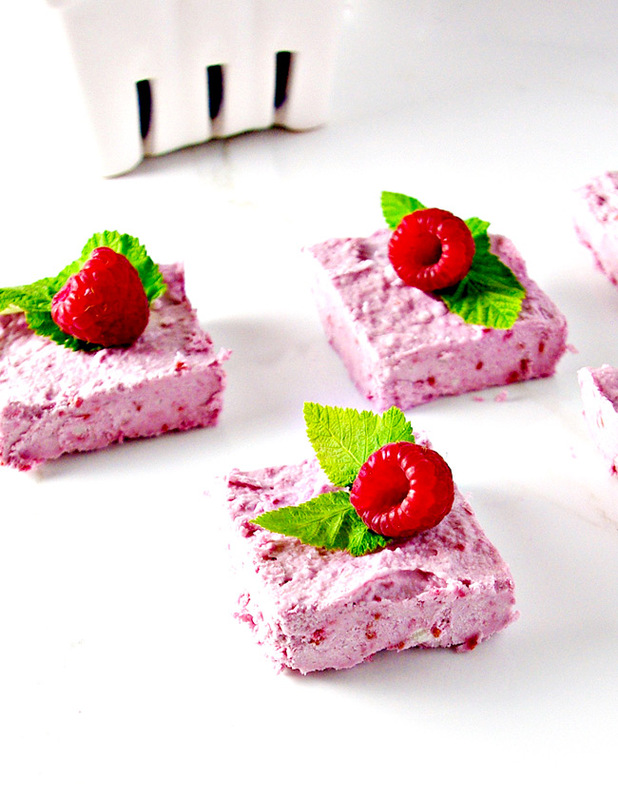 And for raspberry lovers, too. We’re working with fresh raspberries because they offer up the sweetest flavor. Raspberry Coconut Fudge is going to be on the tarter (tartier???) side. So if the berries are too tart, you could always add a little stevia to them to sweeten the offer. Additionally, you can add an extra drop or two of vanilla and even a little extra dollop of maple syrup to your batch. I LOVE to top my Raspberry Coconut Fudge with chopped walnuts or pecans just prior to putting the batch in the fridge to set. Spiriteds, it is honestly like eating cake. Or a delicious dessert bar in the church basement. And you know EXACTLY which types of cakes and bars I’m talking about. Usually it’s a graham cracker or pretzel crust of some kind. Well, this little add-on provides that flavor without the grains and gluten and soy. Just saying, now you can get that flavor without waiting for the get-together at the church. Just whip up a batch on your own and call it a day! Seriously, Spiriteds, whenever I look at this fudge and then dive in, I’m convinced I’m in my own little piece of heaven. And Twinkle is right there with me, nibbling away at her very own piece (and pace).